Be the first to hear about their new releases and deals. 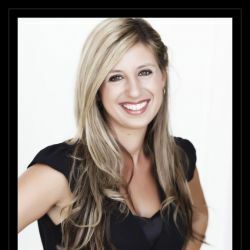 Download the Booksprout app and search for Daniella Brodsky today! Daniella Brodsky is the Australian/American author of novels published by Penguin, Random House, and Simon & Schuster, most recently, VIVIAN RISING and most famously DIARY OF A WORKING GIRL, which was adapted for the screen by Disney, starring Hilary Duff. She also had a long career as a journalist and made a name for herself with THE GIRL’S GUIDE TO NEW YORK nightlife, back when she didn’t need a babysitter and a disco nap to stay out past seven. Daniella has taught fiction craft at the ANU, James Cook University. A native New Yorker, Daniella has lived in North Queensland, Canberra, Honolulu, Washington D.C., and Sydney; she teaches creative writing at James Cook University and at her Captain Cook Studio. If you’re looking for domestic suspense, check out her pen name, Dan Noble.